INTRODUCING AMY, OUR GRAPHIC DESIGNER! This week we’ve welcomed our new Graphic Designer, Amy, to the Glow team. Amy is a valuable addition to the design team and will be supporting the design studio in all design, branding, and web projects, as well as getting involved in some Glow projects too. Rather than letting her settle in slowly, we’ve thrown her straight in at the deep end; working on some exciting client projects, including concept designs for a new logo and an entire office re-styling. 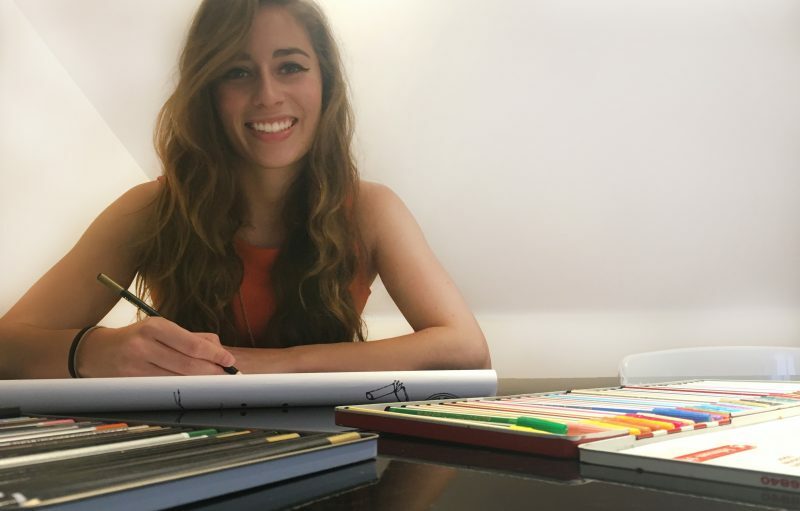 We already know that Amy has a passion for design, is an incredible illustrator, a scrabble champion and loves travelling, but there’s still so much we don’t know! While we don’t think she’s hiding any deep, dark secrets (well, we hope not), we’ve taken inspiration from Vogue’s 73 questions* and created our very own ‘Glow’s 13 questions’- mainly because 73 was way too many questions and it’s Friday 13th! What was the last thing you watched on Netflix? This conflicts me, I can’t possibly choose. What’s the last country you visited? Thailand, in January, for a month. A Chevrolet Matiz – it’s still my car now, I’ve only been driving two years! What is something you’ve always wanted to try, but have been too scared to do? What’s your favourite cold drink? What makes you laugh, no matter what? If you just can’t get enough of Amy, there’s a little more info about her over on our ‘Who We Are’ page. These are video interviews with various celebrities that are equally addictive and cringeworthy, and VERY scripted! If you’ve never seen one, watch one on YouTube NOW!